Honking horn from your vehicle is considered Bad manners in most of the civilized countries. Whenever, you go to some developed country, person honking horn is looked at as a crazy guy & people often ask the person, why he is honking the horn, as it disturbs all the people moving in the lane. But what about India. In India Honking Horn or Blowing Horn is considered a necessity by the Driver. Why its so? It's in the habit of the Indian Driver to Blow Horn at full Volume, as it helps him to get passage among the lane or to overtake the other vehicles going in front of him. Whether you like it or not like it, it is his privileged right to Blow Horn at full volume. Over here in India it may create nuisance but you have to live with it. 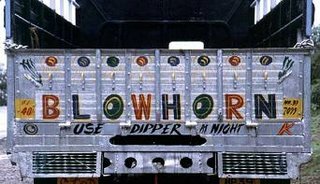 You can see all the trucks & lorries having got painted the words 'Blow Horn' on its back & to any foreigner, it looks amazing, why they have written 'Blow Horn' words on their vehicles. As per the explanation of the Indian Driver, if you have to overtake, you have to Blow Horn. Even if you are standing on a traffic light, you shall find people Honking Horns for no reason. Its high time Indian people learn some discipline & just follow the traffic rules & minimize Blowing Horns of their vehicles. Once in India, a person driving his car Got angry with the truck driver who was honking Horn at full mind blowing volume & asked the truck driver, why for no reason he is honking the horn. Certainly the truck driver stopped Blowing Horn, He came down & Blowed choicest of abuses to the Car person for stopping him from Blowing Horn!!!!!!!! Oh God, pl. give some sense to these nonsense people, Blowing Horns all the time from their vehicles for no reason. 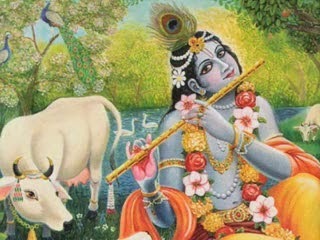 Lord Krishna blew His conch shell, called Pancajanya; Arjuna blew his, the Devadatta; and Bhima, the voracious eater and performer-of Herculean tasks, blew his terrific conch shell called Paundra. see! its been going on for along time....please don't stop! For God's Sake STOP HONKING!